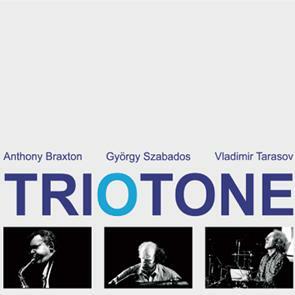 Recorded live at the festival of jazz and improvised music in Serbia Montenegro, this CD brings together three international stars: Anthony Braxton - reeds (USA), Gyorgy Szabados - piano (Hungary), Vladimir Tarasov - drums (Lithuania). They played two pieces by Gyorgy Szabados, who is considered to be a father of free jazz and improvised music in Hungary, and three improvised pieces. And what is the character of the music? Stuart Broomer: "It's in many ways a great recording of Hungarian music and is, in certain respects, a particularly strong recording of what was once termed third stream music..."
The above Ogg-sound sample, due to a typo, ogginfo displays cldr316 instead of cdlr416. Sorry!